Jakub Rotbaum (b. July 11, 1901 in Zelechow, d. January 30, 1994 in Wroclaw) - Jewish theatrical director and painter, since 1949 living in Wroclaw. He was the older brother to Lia (Lisa) Rotbaum, a choreographer and director. After high school, he attended the School of Decorative Arts, The School of Fine Arts and the Film School in Warsaw. In 1923 he went to Berlin to study painting and met with the Vakhtangov Theatre. 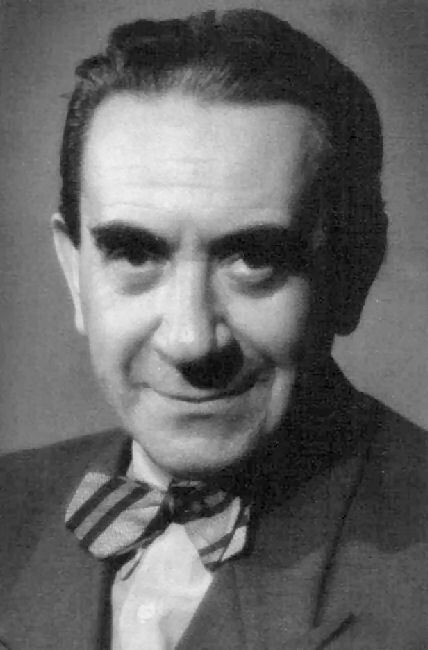 In 1925 he made his directing debut, acting as an assistant director in Warsaw in Azazel, and the following year "The Post Office" also in Warsaw. In 1928, commissioned by a private Jewish film producer from New York, Jakub Rotbaum directed a documentary film on Jewish life in the small towns and villages of Poland. From 1930 to 1938, Jakub Rotbaum devoted much time to his other passion --painting--and, in many Polish cities (Warsaw, Łódź, Katowice, Lublin, Vilno, Kovno, Róvne, Gdańsk and others), he organized exhibitions of his own work. His work comprised characteristic portraits: Jewish, Polish, Russian, Ukrainian, peasant-types and a large collection of theatrical portraits (the majority from the Jewish theatre), e.g. Itzik Manger and Nahum Zemach, founder of "Habima”, Schkomo Michoels and many others)1. Throughout his life, Jakub Rotbaum continued also to paint the Jewish faces he remembered from his youth; this work received numerous awards. An exhibition of his paintings was held at the Museum of Medal Arts in 1994 (as part of the Cantans festival, September-October 1994.) Except in the years 1939-1942, Jakub Rotbaum’s paintings were exhibited all over the world, beginning in Warsaw in 1925 and ending in Wroclaw in 1994. In 1938, Jakub Rotbaum directed a few Yiddish shows at the then avant-garde Jewish threatre P. I. A. T. (Parizer Jidiszer Awangarde Teater). In 1940 he was invited by Yiddish great Maurice Schwartz to direct his Yiddish Art Theatre troupe in three plays: Sholem Aleichem's Sender Blank, Onkl Mozes (Uncle Moses) by Asch, and Bergelson's Mir viln lebn (We Want to Live). 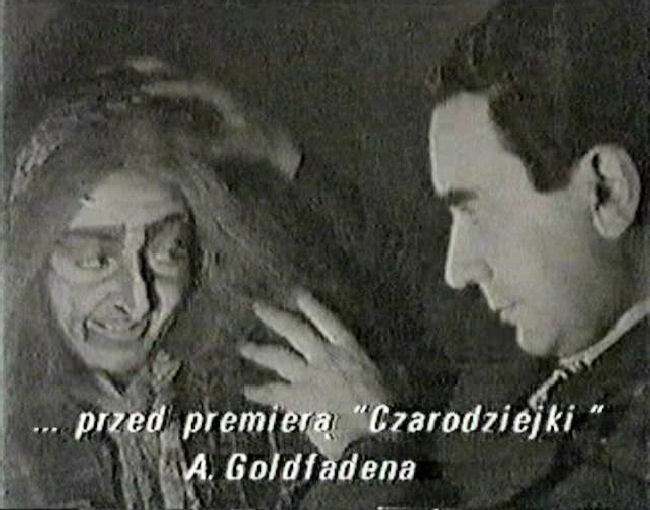 From 1942 to 1948 Jakub directed in New York, Canada, Brazil, Argentina, London, Paris and Israel. In 1949 he returned to Poland to direct Yiddish theatre, at the invitation of Ida Kaminska. 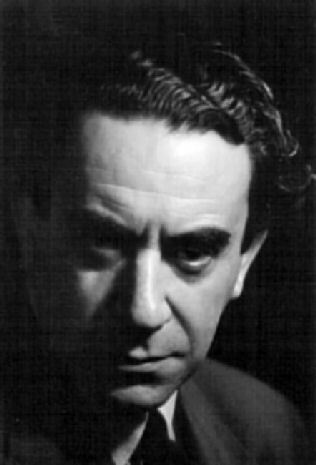 In 1952, he became the artistic director of the Teatr Polski (Polish Theatre) in Wroclaw, and staged international dramatists in the repertory rather than Jewish or Yiddish ones. He was granted many awards and distinctions. In 1968, due to the anti-Semitic climate in Poland, he and so many other patriotic Polish Jews, he had to leave the theatre. This was a deep shock for him. 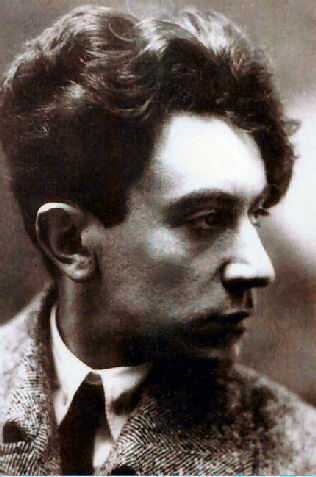 From then on he would never work in any Polish theatre again, and his productions in many European countries as well as in North and South America were exclusively of Jewish works. For years, from 1967, when he formally retired, he directed numerous productions, including classics such as Shakespeare's "Hamlet," Brecht's "The Threepenny Opera, and Chekov's "Three Sisters" and Polish episodes (such as Wyspianski's "Wedding.") He also worked in other cities , including Warsaw and abroad in Sao Paolo, Paris and Bucharest Later he was still active professionally, but after the events of March 1968, he was allowed only to work with the Jewish repertoire . Jakub Rotbaum is best remembered for directing A Goldfadn kholem (A Goldfaden Dream),his most celebrated play, which for over four decades he staged all over the world. He is buried in the New Jewish Cemetery on Lotnicza Street in Wroclaw. 1 Hannowa, Anna. Jakub Rotbaum: swiat zaginiony: malarstwo, rysunki = The Lost World: Paintings, Drawings. Wroclaw: Osrodek Badan Tworczosci Jerzego Grotowskiego i Poszukiwan Teatralno-Kulturowych, 1995. 87p. Out of print. Anna Kuligowska-Korzeniewska and Małgorzata Leyko, eds., Teatr żydowski w Polsce (Łódź, 1998), Polish or English, summaries in English. 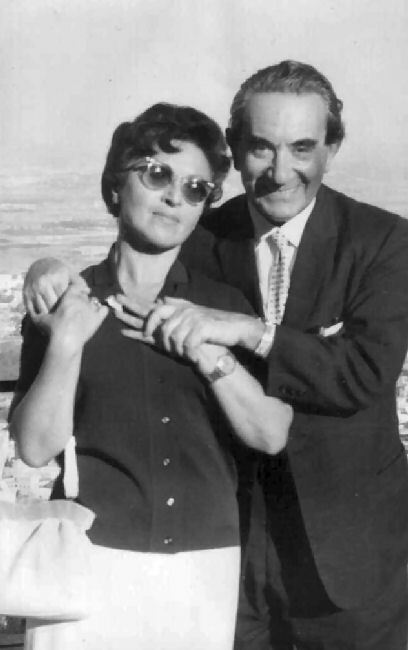 right, Jakub and wife Sylvia Swen at Haifa's Mt. Carmel in 1966. Rotbaum, right, before the premiere of an Itzik Manger’s adaptation of Goldfaden's ”The Witch” (machasheifa). Actress on left is Dina Halperin. 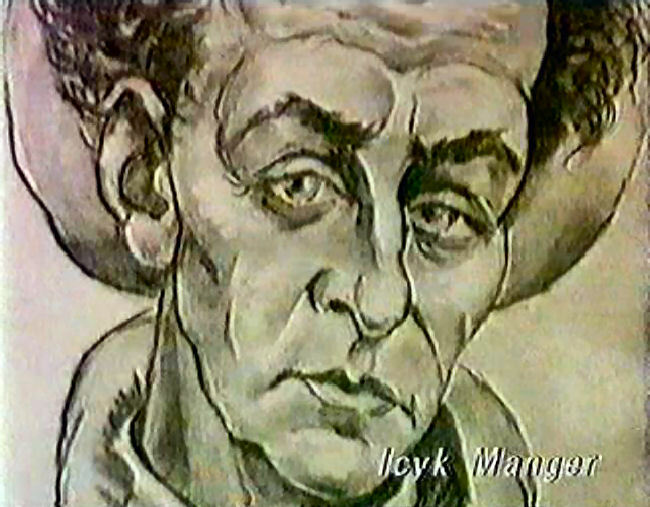 Artistic work by Rotbaum of Yiddish poet Itzik Manger. 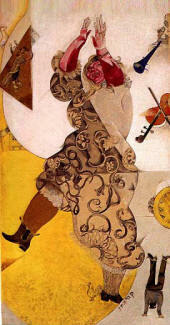 Chagall-GOSET Theatre, Moscow, Poster, perhaps of sister, actress Sara Rotbaum. Text adapted from YIVO and Wikipedia.